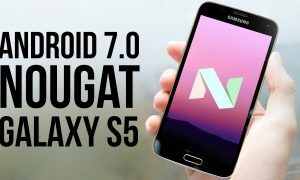 Samsung Galaxy S5 G900H android smartphone has finally received an update of Marshmallow 6.0.1. This new update can be applied to all the users of Galaxy S5 G900H from all the countries. Also, this update is officially rolled out by Samsung. Let’s check out on what are the steps with which you can apply this update. While this update should be available for most of the Galaxy S5 devices as an OTA, but just in case if you haven’t received this update yet or wish to update the same manually, you can do so. Note: Installing this update manually won’t void the warranty in any manner. Also, this update is stable release from Samsung and not the beta release. 2. In your device go to path “Settings > Developer Options to enable USB Debugging mode”. If you can’t see developer options, go to Settings > About phone and tap multiple times to enable the Developer options. Download Marshmallow 6.0.1 for Galaxy S5 and Odin from here to your computer and extract the zip in one folder. Turn Off your phone so that it can be entered in the Download Mode. Download Mode in your device can be entered by holding the Volume Down button + the Home key button (the middle button). While holding these both buttons, you need to switch ON your device. You will see the green robot on screen indicating the download mode. Connect your device to the computer using original USB cable. Open Odin in your computer and then connect your phone to the computer with the help of original USB cable. Click on “AP” to select the firmware file which ends with the .tar file and click on Start to commence the firmware update. Once done, you now need to wait for the firmware to be updated as it will take around 4-5 minutes. Once the device is updated, it will reboot automatically. Do check out the firmware version post device shows up the home screen. Firmware version will be mentioned as Android 6.0.1. 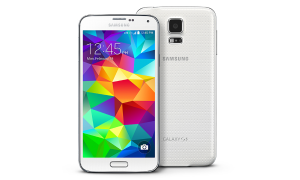 Samsung Galaxy S6 vs Galaxy S5 : Should you upgrade?